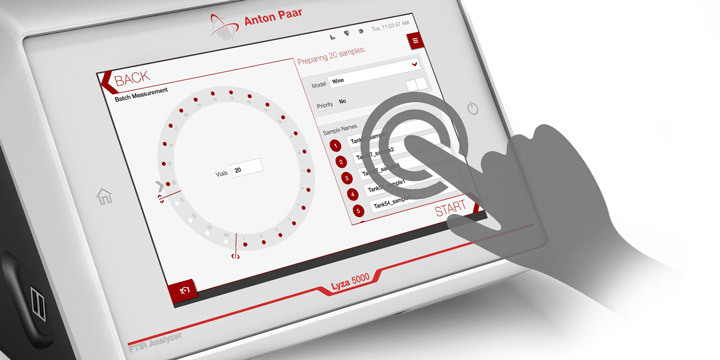 Anton Paar offers state-of-the-art Fourier-transform infrared (FTIR) instrumentation with the possibility to automate and connect to other Anton Paar benchmark instruments. It combines FTIR spectroscopy with comprehensive data analysis to provide rapid results and increase efficiency in the laboratory. 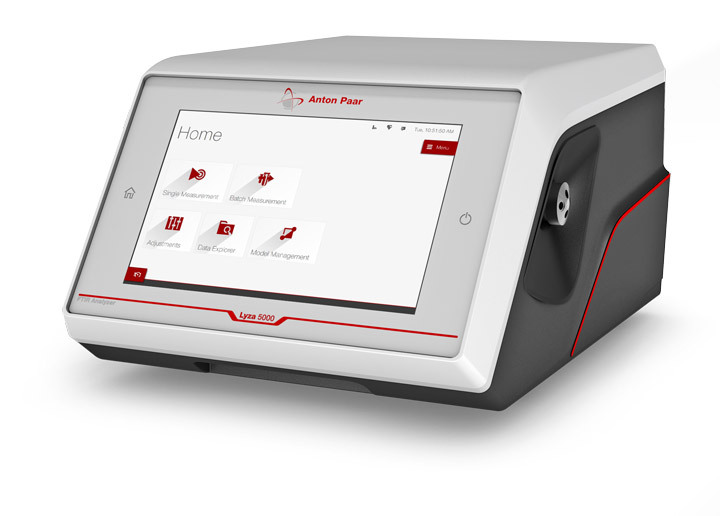 A high-resolution touchscreen with a user interface inspired by modern smartphones enables operators to conduct the most intuitive FTIR analysis available on the market. Anton Paar’s FTIR specialists and a worldwide service network are ready to support you with your spectroscopy applications. Your FTIR analyzer comes with everything necessary to be fully operational right away: a built-in 10-inch high-resolution touchscreen, ready-to-use software, and pre-installed calibrations. The user-friendly interface lets you simplify your day-to-day operation – either in production or quality control. 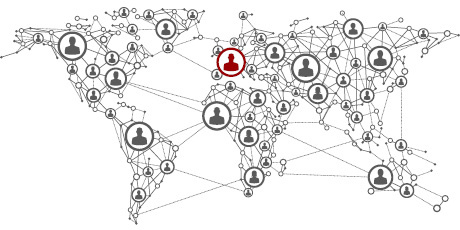 Comprehensive data analysis is already integrated and provides results for a multitude of sample-specific parameters at the tap of a button. Temperature, humidity, and external vibrations have strong influences on FTIR spectroscopy. Anton Paar’s FTIR instruments eliminate these influences: the uniquely designed, temperature-controlled measurement cells are surrounded by a hermetically sealed FTIR spectrometer core. This guarantees standardized measurement conditions unaffected by fluctuations in environmental temperature or humidity and ensures reliable and reproducible results. 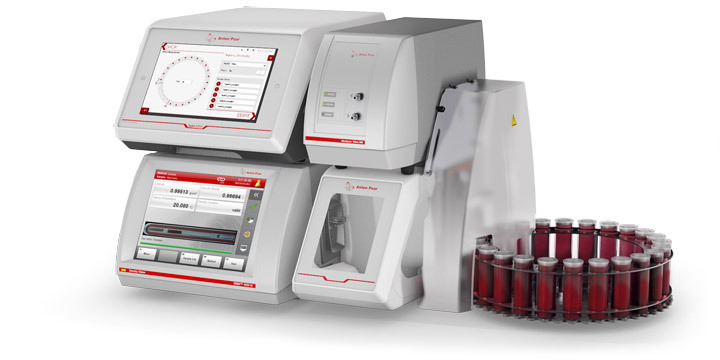 Anton Paar’s FTIR analyzers can be integrated into beverage analysis systems and connected to DMA M density meters, reducing your measurement-related workload: After only one sample preparation, one filling, and one measurement, an all-in-one report shows results from all connected instruments. Results can be printed directly from the instrument or exported via various interfaces. For the highest level of automation, FTIR analyzers can be fully integrated into your laboratory management system. Measurements with Anton Paar’s FTIR analyzers are done in less than one minute, already including data analysis. 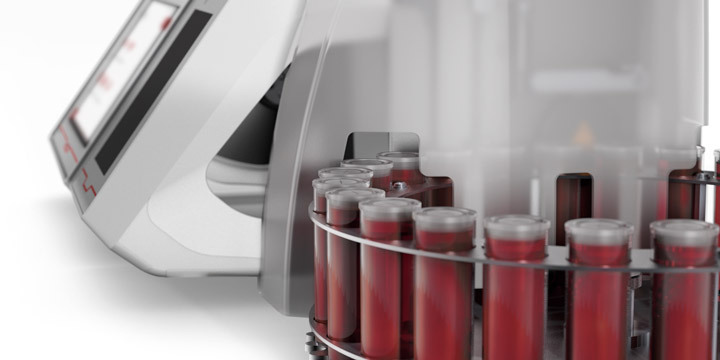 An Xsample sample changer further optimizes your workflows by filling and measuring up to 24 samples in one run. This makes FTIR analyzers from Anton Paar the most economic option for high-throughput Fourier-transform infrared spectroscopic analysis. 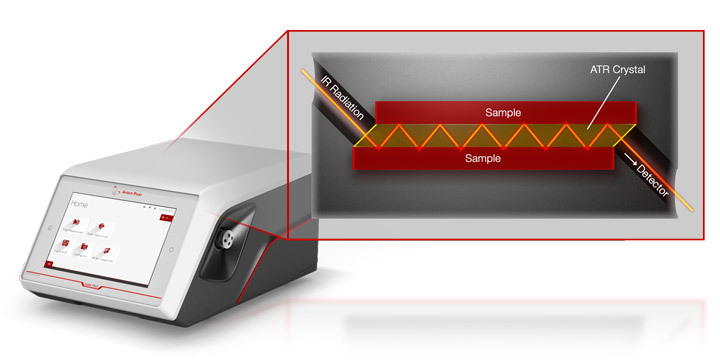 Fourier-transform infrared spectroscopy is used for a multitude of applications. Anton Paar’s FTIR specialists handle sophisticated application requests for every type of industry and provide customers with the latest data analysis methods for their sample type. Our dedicated support team responds quickly and makes sure that your FTIR analyzer is in perfect condition at all times and downtimes are kept to a minimum.